Another week and another PUMA evoPOWER launch to keep us warm. As the days turn colder, PUMA have released another Vigor 3D boot in a colourway that either leads the mind to Caribbean seas or frozen blocks of ice. A matter of perspective really, but either way it looks absolutely awesome. Just last week, PUMA presented the evoPOWER Vigor 1 in a neon graphic design and now they are ready with another evoPOWER. This time it is the 3D dot design, which is a concept that features a cleaner look and more focus on accuracy than power. 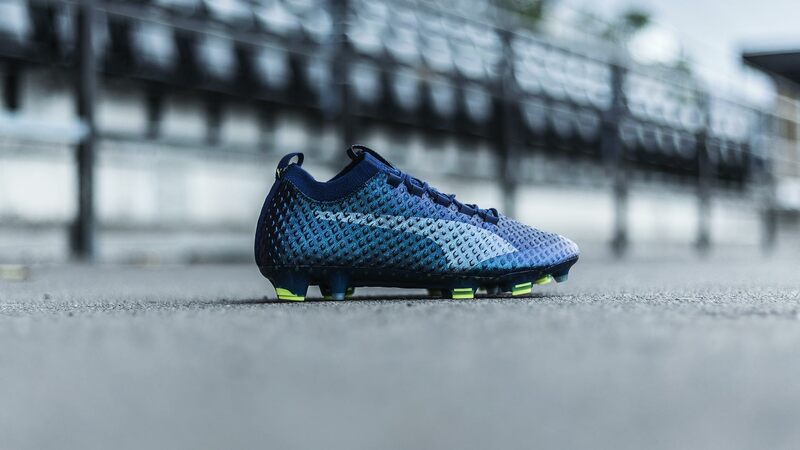 This is the third colourway PUMA have introduced to the 3D Dot boots and it may very well be the best one yet. The PUMA evoPOWER Vigor 1 3D still features an upper of the one-way stretchable AdapLite material, which allows your foot to bend naturally when you strike the ball. What makes this accuracy driven evoPOWER 3D different from the regular evoPOWER, which is 100% about increasing your strikes power, is the way the AccuFoam is placed on the upper. The AccuFoam is dotted across the upper on both the inside and the outside of the upper. This provides players with an intuitive connection with the ball, because the nerve-endings around the foot receive more signals when you touch the ball. The more you can feel the ball, the more accuracy you have. All about those upper 90 shots! 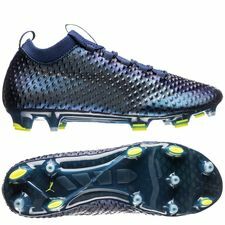 Find the PUMA evoPOWER Vigor 1 3D Dot right here on unisportstore.com.